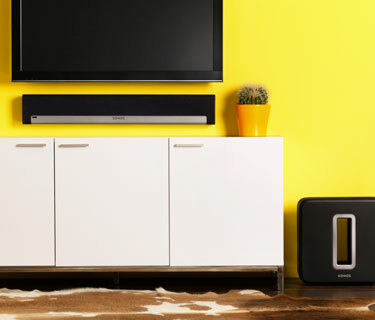 Sonos expands its home theater offering with the new PLAYBASE that is meant to be placed below a TV as compared to the PLAYBAR that is meant to be placed on the wall below a TV or in front of its stand. It has the same functionality as its older sibling. Which includes the ability to be paired to a SUB and a pair of Play:1s to get real 5.1 home theater audio. It can play music on its own through the Sonos app and connects to a tv with optical input. 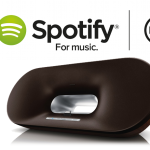 A difference is that it incorporates a woofer along with nine other speaker drivers. 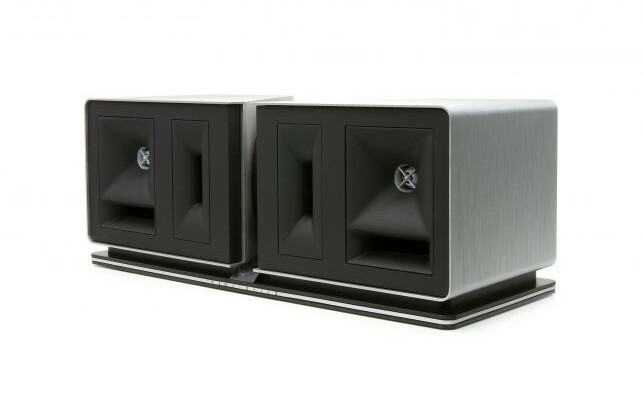 So Ten amplified speaker drivers in total. Six mid-range, three tweeters and one woofer. It has one ethernet port. PLAYBAR has two. 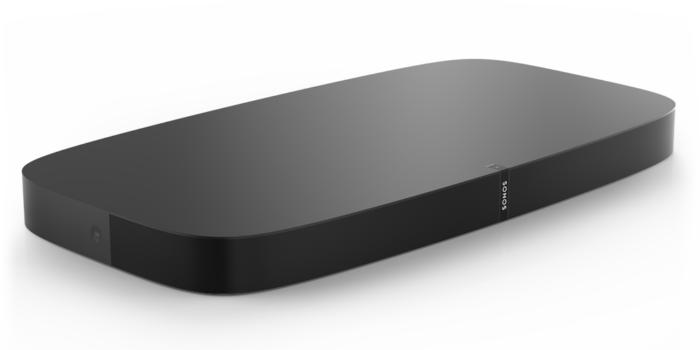 PLAYBASE securely supports TVs on top of it up to 77 lbs (35 kg). 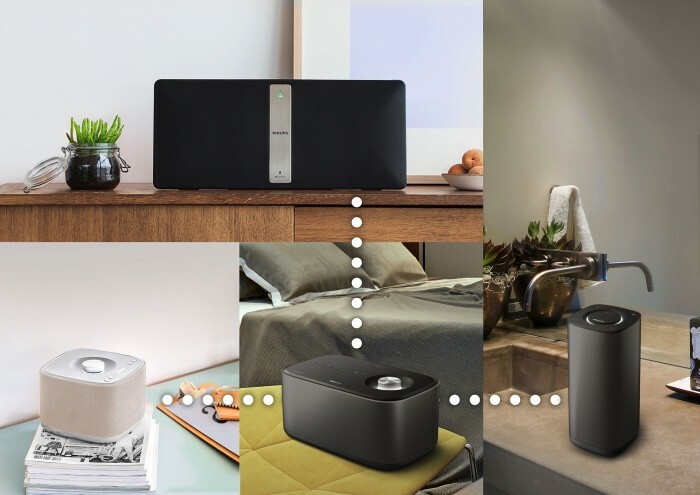 Both PLAYBASE and PLAYBAR supports Speech Enhancement and Night Sound for optimal listening without disturbing the sleeping part of the family. PLAYBASE will cost 699$ and be available in stores in April 2017. 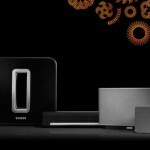 Sonos today announced the PLAY:1, a small tower speaker that fits perfectly in their current lineup. At 199$, Play:1 is the new entry level Sonos product. A smart and obvious move, in retrospect. The PLAY:1 works in the same way as all other Sonos products. You control it with the Sonos remote app and play music from Spotify, locally, Internet radio and much more. 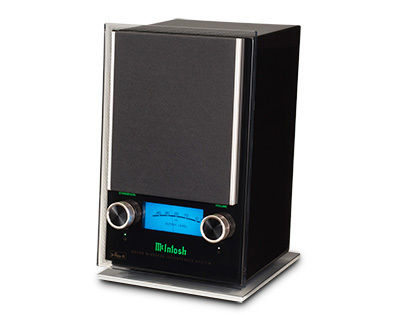 The PLAY:1 has two Class D amplifiers, one 3.5″ mid-woofer for mid-range frequencies and to deliver deep bass. And one tweeter for crisp high-frequency response. 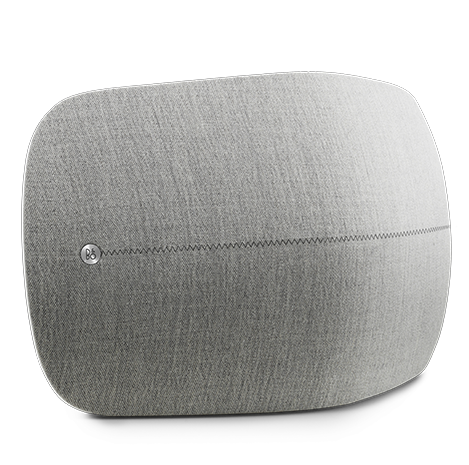 Sonos states that no other wireless speaker this size delivers such rich, clear HiFi sound. The PLAY:1 is Humidity Resistant so it is ok to have it in the bathroom. Two Play:1s paired for stereo sound in a room. 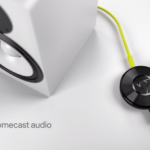 Get 5.1 audio with two PLAY:1s paired with the PLAYBAR and the SUB. The Pure Jongo system will soon consist of three devices. This, the previously launched Jongo S3 and the upcoming Jongo T6. With the new streaming adapter, Jongo A2, you can play music on your existing Hi-Fi-system. You connect the adapter to the Hi-Fi system with SPDIF (digital optical or coaxial) or analog left and right connector. The adapter is controlled with the Pure connect app on either iPhone or Android where you select the output zone (adapter) and the music source (local mp3s, internet radio stations or the Pure Music service). The music is then sent to the streaming adapter by Wi-Fi. Music can also be sent to the adapter through Bluetooth and in that case the sources are pretty much all music on the device but Bluetooth has it´s range limits. 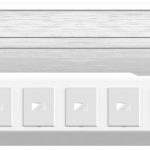 From a hardware functionality perspective, the Pure Jongo A2 is comparable to Sonos Connect that is 2.5 times more expensive. But the Pure Jongo system can’t compete with Sonos when it comes to software functionality. 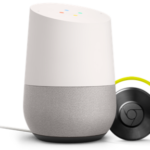 Sonos has for instance support for Spotify and many other third party services where Pure Jongo has support for its own streaming service and internet radio stations. So if the requirements are limited to playing local network mp3:s, internet radio stations and Pure Music, it´s great. Otherwise, look at the options. 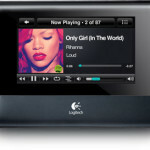 It can also be used as a standard Sonos unit that plays the usual Sonos music sources. 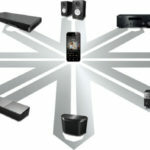 PLAYBAR consists of 9 amplified speakers. Six mid woofers and three tweeters. It has an accelerometer to detect orientation and adjust EQ. Thus will a wall mounted PLAYBAR have more bass so low-frequency tones are reduced. 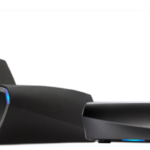 PLAYBAR decodes formats like Dolby Digital 2.0, Dolby Digital 5.1 and PCM. It does not decode HD formats which cannot even be transferred to it due to the lack of an HDMI contact. PLAYBAR has 3.0 audio on it´s own. 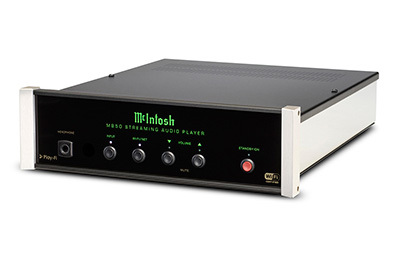 It has 3.1 audio when paired with a SUB and 5.1 audio when paired with two PLAY:3s and a SUB. 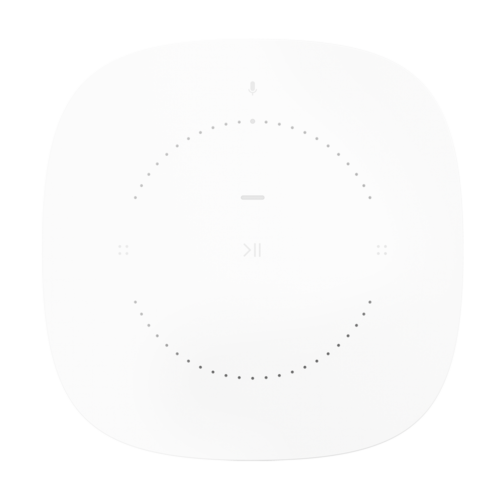 You control it with the standard Sonos app or with the TV remote (it´s compatible with most IR-remotes). 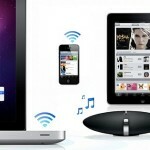 With their latest firmware, Sonos has enabled the streaming of music stored on an iOS device to the Sonos system. 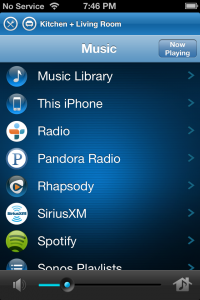 Locally stored iTunes music is now a source among others that can be played on Sonos. The supported file types are MP3, AAC, and Apple Loss-less (M4A). AIFF is not supported at this time. iOS 6 is required. 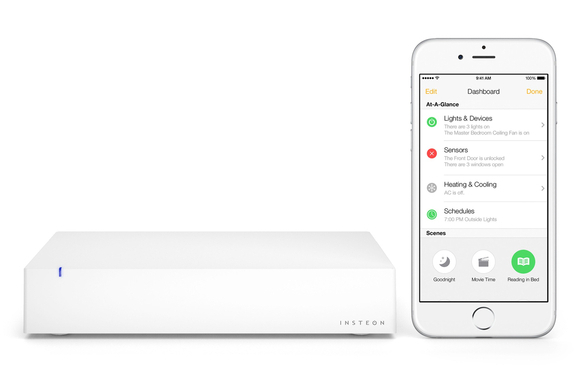 Ensure your iPhone is on the home wireless network, then launch the Sonos Controller App. 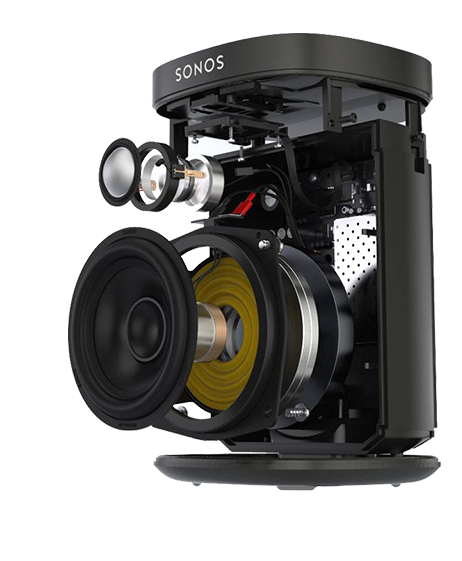 Sonos is deepening its music offering with a sub-woofer, named Sonos SUB. 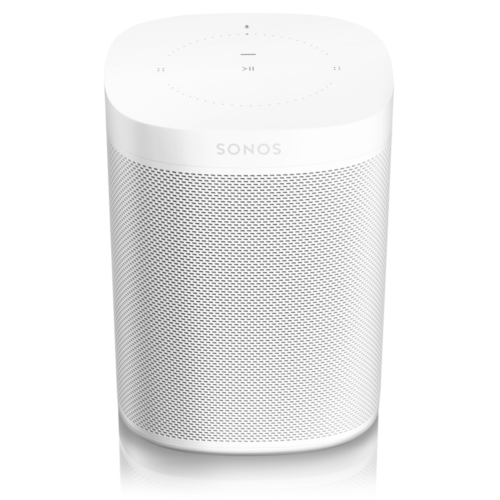 The SUB can, just like the play 3 and play 5, be placed anywhere in a room, it uses Sonos own wireless system to sync with the other units. The install is simple: Plug it into a power source, press the setup button and answer some prompts on your controler. Launching on June 19, the SUB is available in a high-gloss black lacquer finish for $699 USD ($749 CAD, £699 EU, £599 UK). A black matte version will be available in September 2012 for $599 USD ($649 CAD, £599 EU, £499 UK). 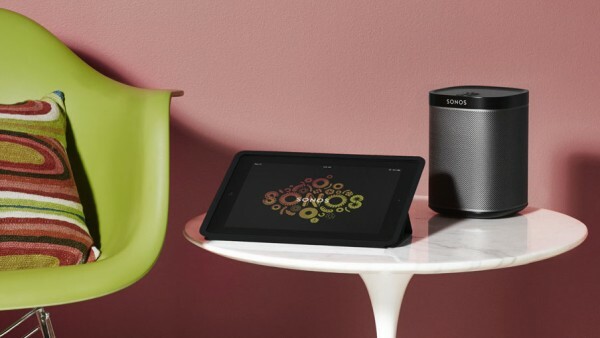 Sonos has announced support for both Songza and Amazon Cloud Player the last month. Songza is a web radio option that has stations and these stations are made up by other Songza members. Songza can help users find stations based on a simple questionnaire. Songza is completely free, no fees and no ads in between song selections. 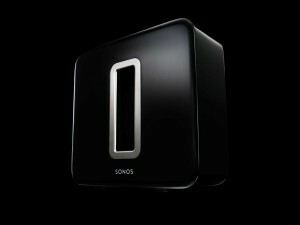 Users can register for Songza through the Sonos website. Amazon Cloud Player allows customers to stream music from the Cloud to any Sonos system. The storages is free for up to 250 songs. Or pay $24.99 per year and import up to 250,000 songs. Amazon MP3 purchases don’t count towards the limit. Amazon Cloud Player is activated for Sonos on amazon.com. The new Sonos controllers, version 3.8.1, offers a variety of enhancements for Android and iOS devices. The Sonos Controller for Android has been optimized for both 7-inch and 10-inch Android tablets, giving customers improved control of their music. Landscape mode on Android tablets is also added. The album art screen has also been made larger to more clearly show what is currently in play. The Sonos Controllers for iPhone and iPad now look even better with high-resolution graphics designed for Retina displays. You can now use the hard volume buttons on your iOS devices to control the volume on your Sonos system, but only when the app is active. Sonos has not yet released an Windows Phone app.